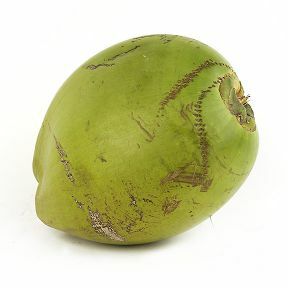 Green Coconut is the large, hard-shelled seed of the coconut palm, lined with a white edible meat, and containing a milky liquid. 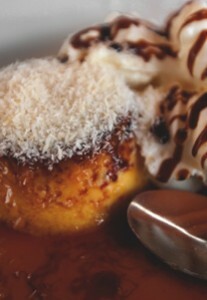 Found throughout the tropic and subtropic area, the coconut is known for its great versatility as seen in the many uses of its different parts They are different from any other fruits because they contain a large quantity of “water” and when immature may be harvested for drinking. When mature, they still contain some water and can be used as seed nuts or processed to give oil from the kernel. Names: Water Coconuts, green coco, palm coconut. Handling: Fresh Fruit – Ready to Eat. Can be made into milkshakes, juice, ice creams, smoothies, fruit bars, and desserts. Shelf Life 7 days. Varieties: Coconuts (#40), EZ Open. © 2016 J&C Tropicals. All Rights Reserved.